After working with over 89,000 customers, GMFS Mortgage realized that the public’s working knowledge of the home financing process is still very limited, most likely because buying, building or refinancing a home is something typically done once or only a few times in a person’s lifespan. The Mortgage Matters radio show on TALK 107.3 FM is designed to bring together real estate and home financing experts to help educate listeners on the entire mortgage lending process and teach potential and current borrowers how to put themselves in the best position to buy, build or refinance a home. What is the real estate market like for Livingston Parish in 2019? 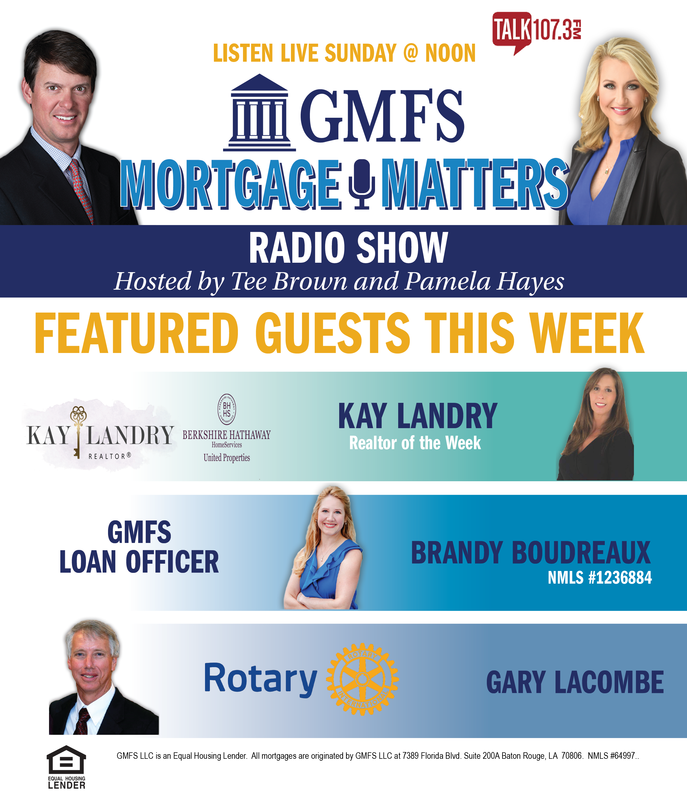 Realtor Kay Landry shares noon Sunday on Mortgage Matters Talk107.3 FM. Rotary Club of Livingston Parish is hosting the 2nd Annual Super Hero 5K Run/Walk to support the purchase of shoes for school children. Event is April 6th at Train Station Park in Denham Springs. Brandy Boudreaux, GMFS Mortgage Loan Officer in Prairieville explains, the importance of using local home loan experts.